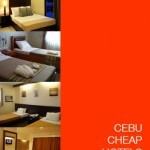 Must-See Heritage Sites in Cebu!. Top of the List of Places To Go To. If there’s anything more alluring than Cebu’s pristine white-sand beaches and beautiful diving spots, it definitely has to be its rich historical and cultural wealth. The Queen City of the South is a confluence of the past and present, with well-preserved remnants of bygone times right in the heart of a modern and dynamic city. In a city where history is literally all around you, Cebu certainly is the perfect destination, for both locals and tourists alike, for an immersive cultural experience and to learn all about the Philippines’ colorful history. Here are some historical sites you cannot afford to miss in Cebu! Situated just a stone’s throw away from the famed Colon Street, the Cebu Metropolitan Cathedral, or the Metropolitan Cathedral of St. Vitales, is a Roman Catholic Church which holds the ecclesiastical seat of the Metropolitan Archdiocese of Cebu, considered by many to be the Fount of Christianity in the Far East. The Second World War greatly damaged the cathedral, leaving mostly just the walls standing. the Church’s rich history is very much apparent from the its Spanish roots with Baroque-Rococo influences. The brilliant interior design of the cathedral also serves as an incredible backdrop for wedding photos, making it highly desirable for weddings to be officiated in. Be sure to pay the Metropolitan Cathedral a visit; you might just witness a holy union! The oldest triangular fort in the Philippines, the Spanish-constructed Fort San Pedro dates way back to 1738, and pays homage to Spanish conquistador Miguel Lopez de Legazpi’s ship. Since its founding, the fort grounds have been used as a temporary refuge by Spaniards, Cebuanos and Americans alike. In fact, Fort San Pedro has even been used as a prison and as a city zoo! A plethora of flora has been planted throughout the grounds since 1957 by the Cebu Garden Club, making Fort San Pedro the perfect reprieve from the frenetic chaos of urban Cebu. Open to believers and non-believers alike, the Cebu Taoist Temple sits 300 meters above sea level, towering over downtown Cebu. Accessible on foot through three separate, winding routes, this richly coloured temple is an absolute treat for the senses. Visitors will first be greeted by a small replica of the Great Wall of China located at the entrance of the temple. One can also find a chapel, library, and a wishing well amongst other things. Visitors are also welcome to take part in a wish granting ritual, where visitors have to wash their hands before entering the chapel and tossing two blocks of wood onto the floor. Depending on how the blocks of woods land, the visitor could then have a chance to be granted a wish from the divine, or will have to make another visit to the temple for another chance for the wish to be granted. While the authenticity of the present-day Magellan’s Cross is questionable, the site nonetheless still holds great historical significance. Aesthetically modest, Magellan’s Cross was planted by Portuguese and Spanish explorers under the leadership of Ferdinand Magellan, famed for being the first person to circumnavigate the globe. The planting of this cross also marked the successful colonization of the Philippines by Spain, as well as the introduction of Christianity to the Philippines. 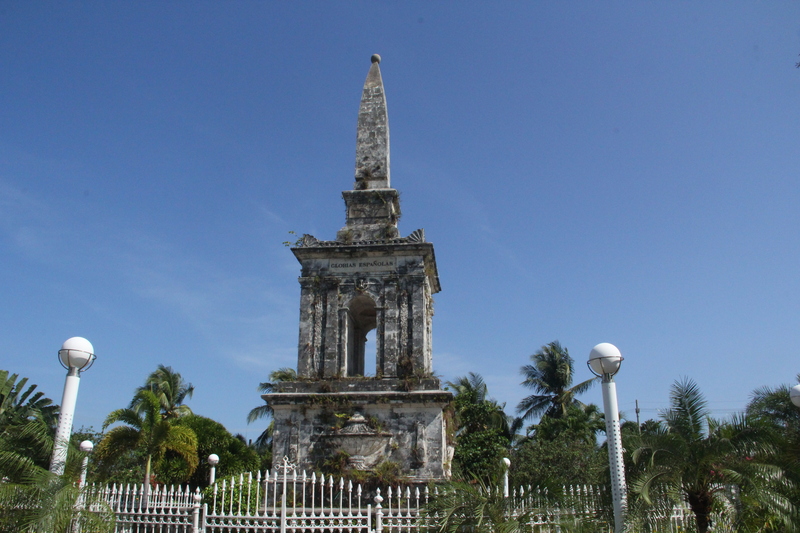 Not to be confused with the Magellan Cross, the Magellan Shrine was built in honour of the Portuguese explorer Ferdinand Magellan, on the fabled spot where Magellan was supposedly felled in the 1952 Battle of Mactan. Located on Mactan Island, this shrine stretches over 30 meters in height, making it a true spectacle to behold. Constructed before the turn of the 17th century with coral stones and wood, the Yap Sandiego Ancestral house truly is a priceless relic that has withstood the test of time. In fact, pundits suggest that the house could possibly the oldest Chinese home outside of China! The family home of an affluent mestizo (Chinese-Filipino landowner), Yap Sandiego Ancestral house contains a vast array of antiques as well as family heirlooms dating back centuries. Even better, a descendant of the family still lives on-site, and is more than eager to answer any queries by visitors. The main government building of Cebu, the Cebu Provincial Capitol building is mildly reminiscent of the famous White House in the US—with its own special twist perfect for photo-taking. With palm trees lining the front façade of the building, the gorgeous Capitol building follows a H-shaped outline. Try to look out for an inscription on the front face of the building; you might just find an inscription that translates to “The power of the government emanates from the people”; a clear demarcation of Cebu’s democracy. Named after famed Spanish explorer Cristobal Colon a.k.a Christopher Columbus, Colon Street is the oldest street in the Philippines, and remains one of Cebu city’s major thoroughfares till today. Lamentably, numerous redevelopment efforts and unbridled modernisation has whittled away the historical value of this ancient boulevard – only the street marker, as well as signs of the nearby historical sites remain. Still, most tourists will frequent Colon Street for its convenient location – a stroll down the street will take you within walking distance to other historical sites of interest such as Parian district, the oldest Chinese district in Cebu. Located in the original Parian Plaza on Colon Street, this gigantic series of sculptures created by local artist Eduardo Castrillo immortalises the many significant historical events, buildings, and characters of Cebu. The building of the monument was funded by multiple donors. Made entirely of concrete, steel, bronze and brass, this sculpture properly presents the true grit Cebu pioneers showed while forging a future home for generations to come. Also known as the Minor Basilica of the Holy Child, this distinguished building is the oldest Roman Catholic Church in the country and is often seen as the cradle of Christianity in the East. Founded in 1565, it is said that the church was founded on the exact spot where the image of Santo Nino de Cebu (the Holy Child of Cebu) was sighted. And in a sense, it seems the church was blessed by this miraculous phenomenon – burnt down thrice since its founding, the Basilica was rebuilt to its present form in 1737. Despite a violent earthquake in 2013, only the bell tower collapsed, leaving much of the site unscathed. Hailed by many to be the first local Fillipino hero, Lapu-Lapu led native Fillipino warriors to resist the Spanish invasion of Visayas. Victorious in the Battle of Mactan against Ferdinand Magellan, Lapu-Lapu managed to prevent Spanish colonisation for another 40 years. His image is now on the Phillipine National Police and the Bureau of Fire Protection seals, while this particular monument was erected in his honour on Mactan Island, standing about 20 meters tall. The largest watchtower in Southern Cebu, El Grande Baluarte (The Big Watchtower) can be found in the municipality of Boljoon. Part of the Boljoon Heritage walk, the watchtower once served as the main headquarters for Padre Julian Bermejo, a Captain who once defended Boljoon. El Grande Baluarte also once served as a prison and, if you care enough to explore, holds some graffiti on the wall of Spanish ships, rumoured to have been drawn by the prisoners who were once held there. This article was contributed by ShopBack.